The high school basketball landscape is different than it used to be. It's not our grandfather's prep scene any more, or, perhaps, even our father's, when students attended neighborhood schools, four years on the same campus. This was the staple for decades, be it in the city, in the suburbs, in regions large and small. Then "transfer" became something of a dirty connotation, not at all wholesome like the prep game was supposed to represent. Scores of players bounce each summer from campus to campus, sometimes state to state, looking for a better fit. When teams reach a state championship, or win one, the narrative is often two-fold: "We did it with no transfers! All homegrown!" Or, "They did it with transfers!" High school hoops has become big business. More fans are attending games than ever before. Social media has helped the sport gain a broader audience. The elite national prospects get tugged toward prep schools or academies, drawn by the promise of superior competition (even in practice) and national exposure. That's a hard option to turn down when one is seemingly already on the fast-track to the NBA. And transferring is their right, often supported and influenced by parents as a 17-year-old deciding on his own to transfer just isn't reality. But transfers can leave a ripple effect, sometimes crippling the basketball team they left and immediately boosting the one they join. Administrators for schools, districts and within the governing body of state high school associations fear that the theme of "prep free agency" will erode the sport, or at least the spirit of competition. Some students transfer to another school to play a sport, then transfer back after that season ends. In California, CIF Executive Director Roger Blake deemed that a prep "arms race." Some states used to have a million dollar annual budget to fight transfers, but the battles became too exhaustive and costly, and those budgets now go elsewhere. And then there is this word that permeates throughout the prep landscape: Loyalty. Those who go to academies or prep schools may benefit in increased competition but they lose out on the chance to finish with their graduating class, of attending football games with buddies under the lights, of raucous home basketball games, or road games where rooting sections are eager to get under one's skin, or pursuing championships together. We champion the theme of team and school loyalty. Finish what you start. Transferring multiple times becomes a red flag for college recruiters. If you're already on a college recruiting radar, you're not going to fall off, unless your grades fall off, or character becomes an issue. Heading to a prep school or academy does not ensure a scholarship. The high school season is winding down across the country, the finish line for thousands who have remained with one school, and for the few ready to head to another campus. All but six have finished state playoff tournaments after 18 concluded last week. 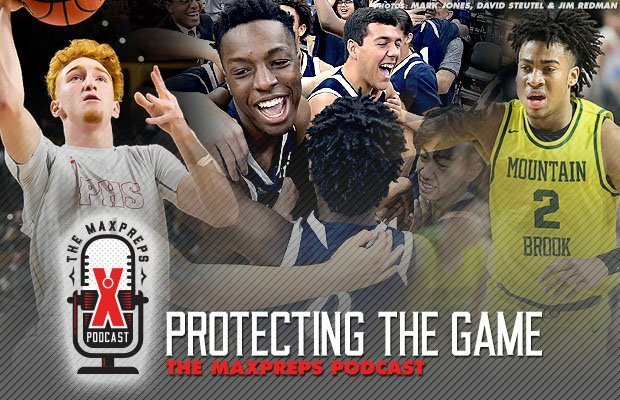 The MaxPreps staff polled players from across the country about why they stayed put, or why they moved on to a prep school or academy. Players who preached loyalty also mentioned legacy. Being known for loyalty, some said, is a nice legacy to have. And the theme was, "what's the rush?" College basketball starts to feel like a business, and prep schools prep student-athletes for some of that thinking. Nico Mannion is a 6-foot-3, 180-pound senior from Pinnacle (Phoenix), a two-time state champion. He is a Top 10 prospect in the Class of 2019 and the No. 1 guard and point guard according to 247Sports. Mannion has signed with Arizona, content that he never thought about jumping ship before graduation. "I stayed at my local high school because I wanted to have an opportunity to try and create my own legacy," he said. "Representing our school and city was fun and winning back-to-back titles is a blessing." He added, "I'm glad I stayed at my local school and had the chance to be a part of a the basketball family at Pinnacle. I've created bonds that will last me a a lifetime. And we've been successful on the court while doing it." And there's Marcus Bagley of Sheldon (Sacramento, Calif.), humming a hearty loyalty and legacy tune. A 6-8 junior wing and the younger brother of Kings first-round pick Marvin Bagley III, Bagley knows he has a bright future. Scores of major programs are recruiting him. Prep schools would love to have him, too. Bagley has already been to three schools in three years, but those were family moves. His first season was at Sierra Canyon (Chatsworth, Calif.)., where he played varsity as a freshman with his brother. When Bagley III played at Duke a year ago, the Bagley family moved to North Carolina, to stay united. When the 19-year-old Bagley III was drafted by the Kings last June, the family moved to Sacramento. "Sheldon's my third school, and I want to just stay here," Bagley said. "I like public schools. I found a home here. I want to create a legacy here, to win a state championship here." Still, he understands why some elect to go to a prep school or academy. "I see why guys do it," Bagley said. "But for me, I just need a good school, and have it here, a basketball and a hoop, and I'm good." Jalen Green took his basketball and is headed elsewhere. An All-American at San Joaquin Memorial (Fresno, Calif.), the 6-5 Green announced recently he will transfer to Prolific Prep (Napa, Calif.), which plays a national schedule and has a roster dotted with Division I recruits. The junior has enrolled in classes in Napa. Green is viewed as a surefire NBA lottery pick sometime in the near future. 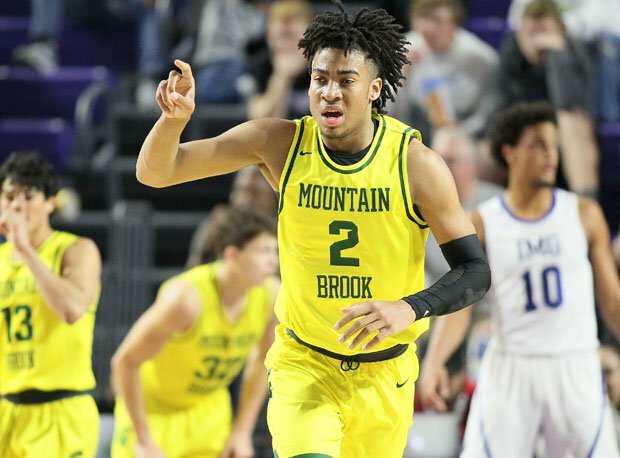 Trendon Watford won three state titles at Mountain Brook. "It's the best decision for any athlete to go to a prep school if they want to go to a good college and the NBA," Green told the Fresno Bee. "That's the best decision if they want to progress in their game and develop their crafts ... things you'll see at the next level." This is why Jordan Brown left Woodcreek (Roseville, Calif.) before the 2017-18 season for Prolific Prep. A 6-11 forward, Brown was the man on campus in Roseville, hailed as a hero by students who packed into the bleachers, appreciated for his kind ways. But he left to compete against players more his size, his father, Dion, explaining that his son needed to up his game to be college ready. Brown played last season for Prolific Prep and signed with Nevada. "No regrets," Brown said earlier this season. "I had to do what was best for my basketball future." Trendon Watford of Mountain Brook (Birmingham, Ala.) is the top-rated power forward in the country, according to 247Sports. The 5-star, 6-9 forward is not yet committed. Watford stayed with his school, "because I love my school and teammates. I wanted to stay with my guys that I've been with my whole career, and I'm proud I did. Wouldn't have wanted to be anywhere else." Another big man who was courted to go to a prep school was Onyeka Okongwu of Chino Hills (Calif.). 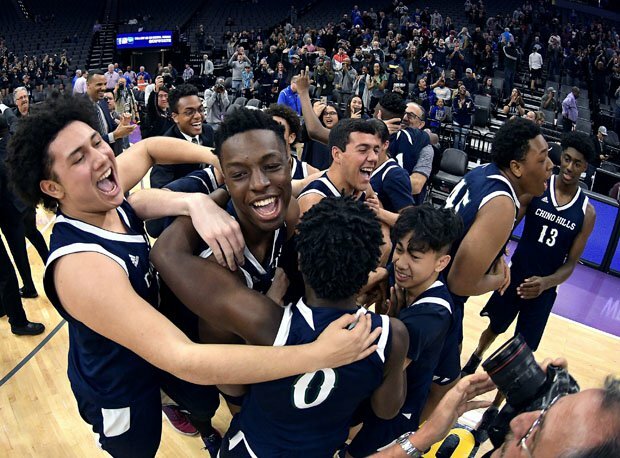 Onyeka Okongwu (middle of celebration) won three state titles — and a mythical national crown — in four years playing for Chino Hills (Calif.). Headed to USC, he was a four-year starter for the program, winning three state championships. "I stayed because I'm loyal to my community," Okongwu said. "I've been living in Chino Hills since I was 6, so I knew I had to ride it out no matter what happened. I've gotten close close with so many people here, and those are relationships that I will hold on to forever. "Winning three state championships with the friends you grew up playing alongside you is great." What's basketball without scoring, or prolific scoring? Joseph Girard III is a 6-2, 180 pound senior from Glens Falls (N.Y.) with more than 4,600 career points as one of the most prolific players in national prep history. Headed to Syracuse, he averaged nearly 50 a game a year ago and is back at it this season, including dropping in 69 in a 98-83 playoff victory to break a section record that stood since 1965. He also quarterbacked his school to two state championships. Girard could have gone the academy route for better competition, but he offered a refreshing take on his why he remained loyal. "Well, the motto or saying that I live to be different holds true for me," Girard said. "I live by being different and staying and playing for my hometown school was different. "A lot of my AAU friends left their hometowns to play for prep schools. I wanted to be different and stay home and win with my family and friends that I grew up with. I don't think I would have felt right leaving these guys for my last year and their last year." Girard thanked his community once more Saturday with perhaps the signature moment in his illustrious career. He scored 50 points, including a buzzer beater to win the school's first state championship with a 75-74 overtime win in the New York state Class B title game. After he made the winning shot — a highly-contested, acrobatic interior bank shot — he raised his arms straight into the air and sprinted with teammates directly to a packed and frenzied Glens Falls cheering section, where he was engulfed. The celebration was long and palpable. "There are a lot of things going through my mind," he told reporters shortly after the game. "I couldn't do it without the local community here. We travel well, we're behind each other and I couldn't do it without these guys." Fans traveled well on the opposite coast to follow a nationally-ranked Sierra Canyon team out of Southern California that featured multiple high-profile, high-flying Division I players, including Kenyon Martin Jr., the son of a retired NBA All-Star. The burden of filling dad's sneakers is pressure enough. So is considering college options, or even high school options. Martin transferred once as a junior into Sierra Canyon. He didn't want to bounce again. The senior forward celebrated a CIF State championship March 9 over Bagley and Sheldon at Golden 1 Center, home of the Kings. It was a title repeat for Martin and his friends, all the reason to know he made the right decision to stay put. "I love it at Sierra Canyon," Martin said. "I never considered an academy because I don't want to be just around basketball players all day and night. I mean, I love my teammates, but I enjoy being around other kind of kids too."